Ultimately, it can be quite energy efficient to install solar shingles on the roof of your home. But how does this hold up to solar panels? It actually depends a lot on the different aspects of the house that you want to install them upon. If the roof is largely covered by shade from trees, or the different planes of the roof don’t angle in a way that guarantees direct sunlight for a good part of the day, then there isn’t much of a reason to put an investment towards solar shingles. On the flip side, solar panels can be installed anywhere, and can be programmed to constantly face towards the sun. This, at first glance, makes solar panels much more efficient. However, many people who install solar shingles are already having their roof redone with new shingles. This must be taken into account for many people, as installing solar shingles is a way to kill two birds with one stone. Even though solar shingles are a relatively new technology, there are already multiple ways that they are being designed and created. The two basic types of solar shingles are thin-film and silicon-based solar shingles. Thin-film solar shingles use a special mixture of copper, indium, and gallium to create a thin laminate film on the shingles. These are the cheaper of the two options, but aren’t able to take in as much solar energy as silicon-based solar shingles. However, they are quite versatile, as they can be applied to simple generic asphalt shingles. 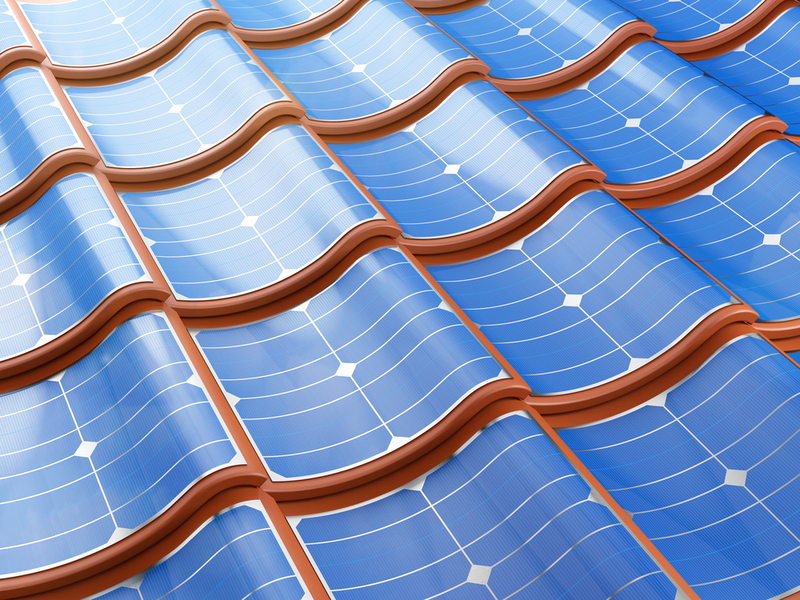 Silicon-based solar shingles are made of the same material that is used to create solar panels. This makes them incredibly efficient at taking in sunlight. However, they are more expensive and challenging to install than thin-film solar shingles. If you are willing to make the investment, though, silicon-based solar shingles can be a terrific way to produce green energy.